Below please find three examples Indigenous children and youth mental health interventions. 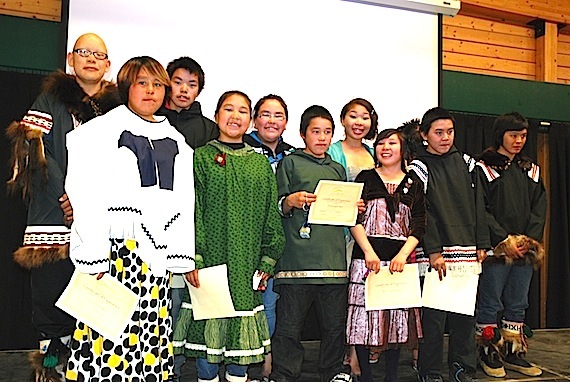 The Makimautiksat Wellness and Empowerment Camp provides Inuit youth with the skills and knowledge they need to build their lives through a 10-day land and community-based camp program. It focuses on strengthening coping skills, building healthy and harmonious relationships, enhancing awareness of the body, movement and nutrition, exploring creativity, understanding informed choice and peer pressure, and connecting knowledge and skills on the land. Eighty-eight First Nations communities have partnered with urban Indigenous organizations across Canada to provide the Promoting Life-Skills in Aboriginal Youth (PLAY) Program for Indigenous children and youth. The program enhances educational outcomes, improves peer-to-peer relationships, increases employability, and improves the physical and mental health of Indigenous children and youth through regularly offered weekly activities. The activities vary across communities and include after-school, youth leadership, diabetes prevention, sport for development programs, summer camps and baseball leagues, female empowerment workshops, and sport-based clinics (hockey, lacrosse, soccer, basketball). A collaborative program between First Nations communities in British Columbia, Manitoba, Ontario and Quebec and researchers provides a culturally-based, family- centred, mental health promotion program for Indigenous youth aged 10 to 14 and their parents – Listening to One Another. It is funded by the Public Health Agency of Canada. The program is community based and offered by Indigenous people. It involves activities focusing on community history, cultural pride, communication, problem-solving, dealing with discrimination, problematic substance abuse and other topics. Atkinson D. (2017). Considerations for Indigenous child and youth population mental health promotion in Canada. Ottawa, ON: Canada: National Collaborating Centres for Public Health- accessed November 14, 2018. Hope for Wellness Hotline – accessed November 2018.